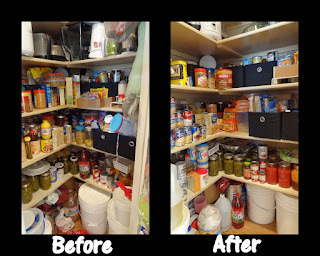 Perhaps the most important part of getting organized for the holiday season is getting your house ready!! Several years ago we hosted Thanksgiving for the first time ever. It was a little crazy as I was pregnant with my 3rd child. But we wanted it to be a positive experience for the entire family and bring fond memories when we looked back. So the first task at hand was to get the house ready. That’s when I came up with this holiday cleaning checklist. My mom convinced me to really work to deep clean my house and be ready for the upcoming holidays. At first I was like, "NO". But as I got going, I realized how good it felt to have the house cleaned and how much better everything smelled! 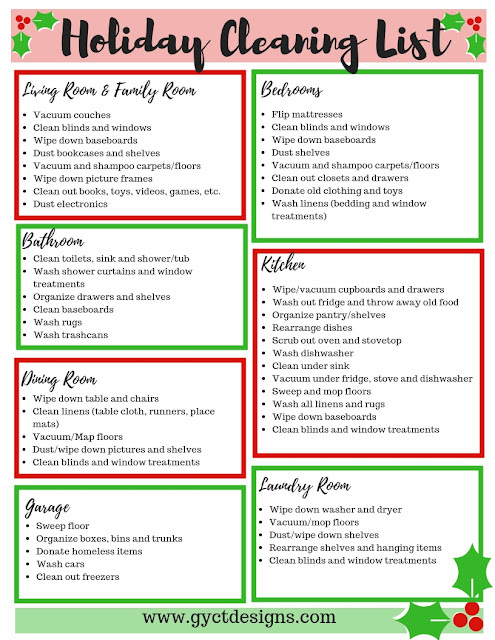 I needed a quick checklist I could use to clean each area of the house without having to do a crazy deep cleaning of my home. Since I knew I wouldn’t have enough time to deep clean the entire house, but I could do cleaning that would prepare each room for the guests I had coming. In some ways, it was a great list to “cheat” clean my house. I didn’t have to clean out every closet and drawer in the house, just those in certain areas I knew I’d have guests. I also didn’t have to shampoo all the carpets or wash every single window and blind, but it gave me that option. 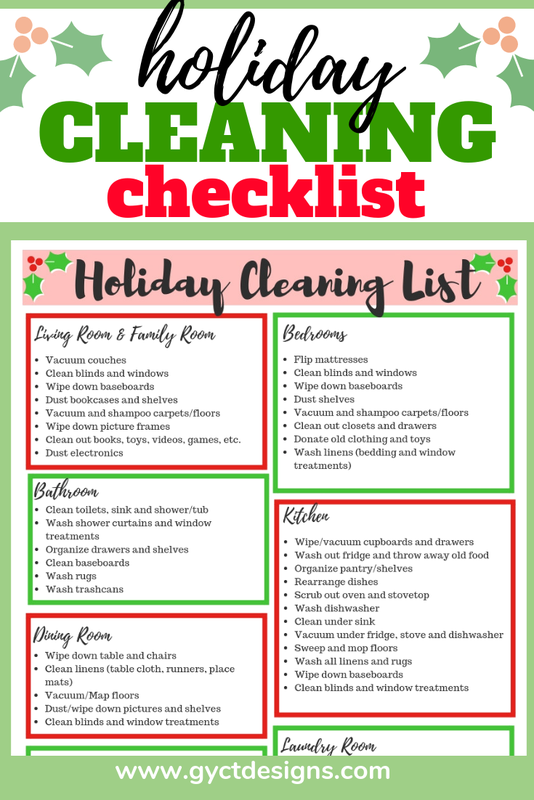 This holiday cleaning checklist gave me a great starting point to get cleaning my entire home. Once it was clean for the holidays, I could relax and not worry about it anymore. I could enjoy my family and friends. I hope that is what this list will do for you as well. You won’t have to think about what to clean, just get cleaning. Once each room or area of the house is checked off, you get to sit and enjoy the holiday knowing your home is ready for all those guests. As you browse through this checklist, remember that just because it is on my list doesn’t mean it has to stay on your list. You can choose to cross it off and pretend it isn’t there. Or feel free to add a few extra items if you feel like you need them. I won’t be offended. Since this is a printable holiday cleaning checklist, you can print it right off each holiday season and use it to get ready for the season. 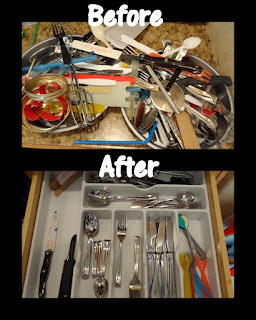 I hope it helps you get organized and cleaned for all that company you have this holiday season. Need some quick cleaning hacks? Check out some of our favorite cleaning hacks for busy families.